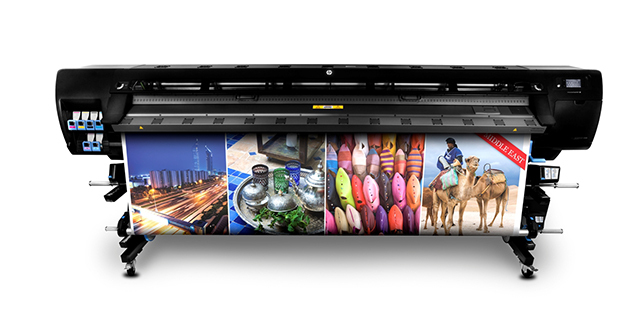 The HP Designjet L28500 104" Latex Printer delivers wider outdoor and indoor applications—including soft signage-at up to 70% faster print speeds. Prints come out dry and ready to use. It provides accurate unattended, double-sided printing and attract environmentally conscious customers. • Outdoor prints produced with HP Latex Inks achieve display permanence up to 3 years unlaminated and up to 5 years laminated. • Indoor prints produced with HP Latex Inks achieve display permanence—in-window up to 5 years unlaminated and up to 10 years laminated on a range of media. • HP Latex Inks produce odorless prints, providing the best of both worlds. Prints are durable enough for demanding applications such as outdoor display but they lack the noticeable odor that can limit indoor applications. • Prints produced with HP Latex Inks offer print service providers the opportunity to expand the variety of outdoor and indoor applications they offer to environmentally conscious customers. • Odorless prints produced with HP Latex Inks emit extremely low levels of VOCs (volatile organic compounds). There is no special ventilation required to meet occupational exposure limits and there are no requirements for air discharge permitting, facilitating an improved printing environment.